Ceramics Workshops Coming Up at Penistone Leisure Centre! 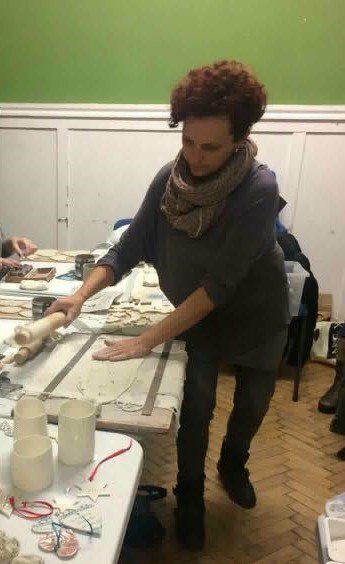 Coming soon are another two dates for the very popular Sarah Jones Morris’ Ceramics workshops! This time the class focuses on Decorative Hanging Plaques and Wish Pebbles. Here are some of the results of another recent workshop! Come along on Tuesday 26th February or Wednesday the 13th of March at 6:30pm in the party room. The informal workshops are a relaxing way to spend an evening! Tea and Coffee are provided, and you are welcome to bring along a glass of wine or beer if you like. All equipment is provided, and Sarah will fire and glaze your pieces!